Strange things are happening to Daire Santos. Crows mock her, glowing people stalk her, time stops without warning, and a beautiful boy with unearthly blue eyes haunts all her dreams. 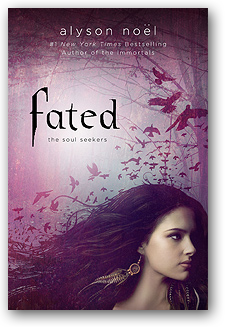 Fearing for her daughter's sanity, Daire's mother sends her to live with the grandmother she's never met, but who recognizes the visions for what they truly are—the call to her destiny as a Soul Seeker—one who can navigate the worlds between the living and dead. 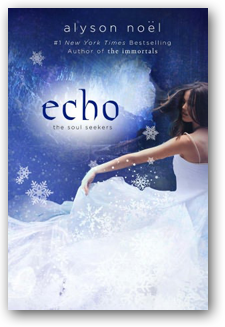 There on the dusty plains of Enchantment, New Mexico, Daire sets out to harness the powers of her ancestral legacy, but it's when she meets Dace, the boy from her dreams, when things take an alarming turn. Forcing Daire to discover if Dace is the one guy she's meant to be with...or if he's allied with the enemy she's destined to destroy. There's still so much Daire Santos has to learn about being the last Soul Seeker....and about herself. 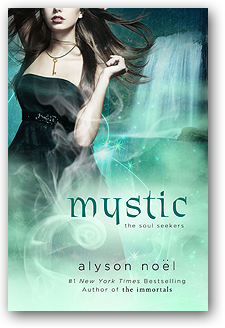 As her magical training becomes more intense, so does her relationship with Dace. 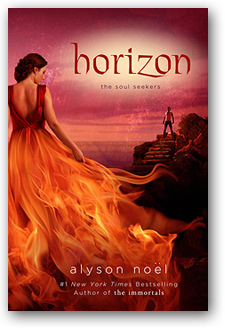 But when she learns that his connection to the evil Richter family goes far deeper than she ever imagined, she begins to question if love really can conquer all. Dace is painfully aware that he wouldn't exist if it wasn't for the Richters' dark magic—and now his brother Cade is determined to use his love for Daire against him. Dace is willing to sacrifice anything to protect the girl he loves—including his own life. But will Daire allow it? And what if defeating Cade costs not only his life, but his soul too? Bound to the Richters by blood, Dace struggles against the darkness growing inside him that threatens to claim Daire, too. Though Daire refuses to give up on him, the choice may not be hers. An epic battle is on the horizon and the end of the world looms near. With such insurmountable odds stacked against them, is their love really enough to conquer all?